Last year’s inaugural Carlsbad Village Night of Lights was a huge success – I had a great time – and this year the Night of Lights in Carlsbad Village should once again be a highlight of the holiday events in Carlsbad. 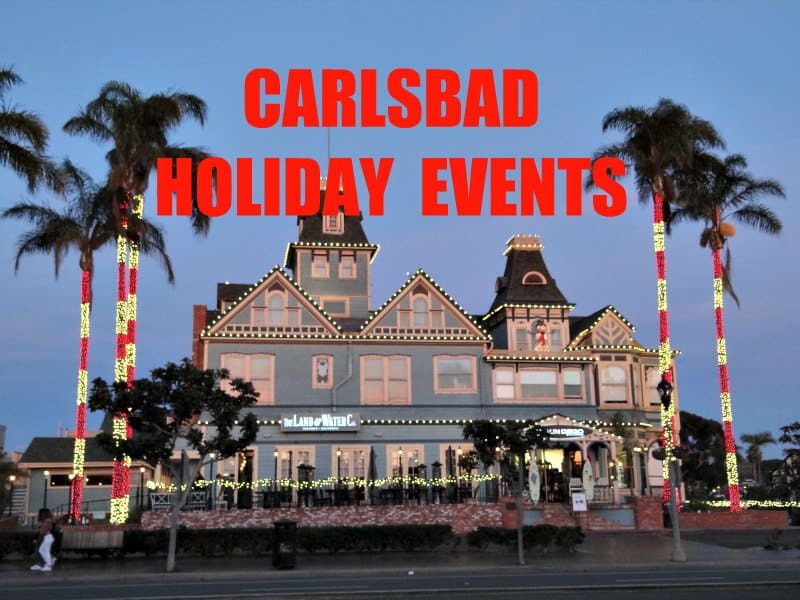 The Carlsbad Village Night of Lights is Saturday December 2 (the night before the Holiday Tree Lighting – stay tuned for more on that), from 5:30 – 8 pm, give or take. In addition to seeing our charming Village by the Sea all lit up, you’ll enjoy lots of beautifully decorated store windows (and, yes, there is another contest this year), free music and all sorts of special deals from area merchants, service providers, and eateries. And you’ll find treats and beverages, too! The Carlsbad High School Jazz Ensemble and Orchestra will get you in the holiday mood with music at the Choice Juicery at the corner of State Street and Carlsbad Village Drive from 5 – 6 pm. 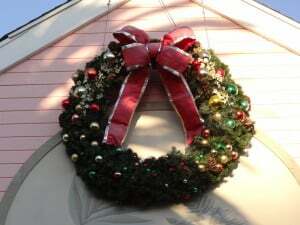 And the Carlsbad High School Singers will be strolling the streets and caroling. If you decide to have dinner or a snack, there are plenty of places to choose from, but I’d suggest reservations if they take them (e.g., the NEW Bluewater Grill only takes reservations for parties of 8 or more) since with it being Saturday night and a special event the Village will be crowded. Which also means get there early for the best parking – it’s still FREE in Carlsbad Village.